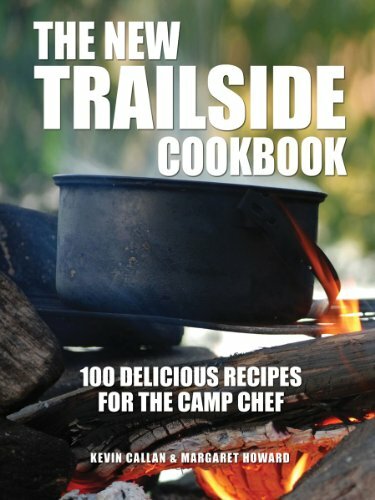 The New Trailside Cookbook is the result of a unique partnership between canoe enthusiast Kevin Callan and food and nutrition consultant Margaret Howard. With Margaret creating delicious, healthy recipes for the camp kitchen and Kevin providing the how-to information, it is a perfect match - like having Red Green and Julia Child outside with you. Say goodbye to bland, canned meals and hello to satisfying, fireside dishes. This comprehensive book covers everything from making great camp coffee to variations of GORP, from foraging for wild edibles to mastering meals after the ice melts to living off the land. Hikers, kayakers, day-trippers, wilderness and interior campers alike will find options and advice in this handy, pocket-sized guide. Recipes clearly indicate what preparation can be done at home, making cooking at camp quick and easy. Dehydrated options (and detailed instructions) are listed for campers outstaying their cooler's capacity. Dishes include hearty morning starts like Peanut Butter Banana Muffins; easy lunches like Mushroom Quinoa Salad; quick pickups such as Apricot Sunflower Seed Cereal Bars; dinners that make the most of fresh catch, like Herb-stuffed Grilled Fish; and sweet endings such as Roasted Rhubarb with Honey and Rosemary. In addition, there is a section dedicated to cold-weather winter camping, and for those only outdoors for a day or two, a chapter on Weekend Gourmet is the place to go for special meals. Kevin's wilderness skills and Margaret's culinary experience combine in this book to please outdoor enthusiasts of all ages, levels and outdoor locations.